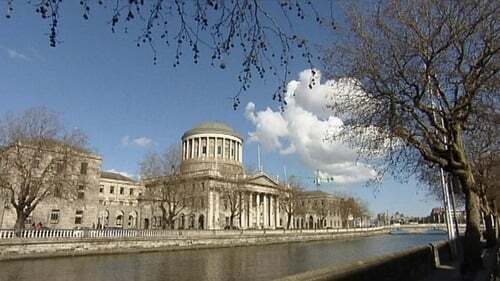 The cases are the first to be listed in the High Court since the CervicalCheck smear controversy arose last month when Limerick woman Vicky Phelan settled her action for €2.5million. In court today dates were set for July for the hearing of the two actions, and another action by a woman who has ovarian cancer, all relating to previous cancer checks. All cases are against the Health Service Executive and laboratories that carried out the original tests. The State Claims Agency has promised to try to resolve them without the need for a court hearing. In a statement, it said that it is managing the claims on behalf of the HSE but is not acting on behalf of the co-defendant laboratories. In the first cervical smear case, the court heard the prognosis for the woman is "not good" and she has been given a life expectancy of between six to 12 months and only heard of the alleged misdiagnosis of a 2012 smear test on 3 May last. In the second cervical smear case, the court heard the woman is currently undergoing chemotherapy and radiotherapy, as she has cervical cancer and breast cancer. Jeremy Maher SC for the woman said she had a smear test in 2009 and another in 2012, which came back as negative, and her cervical cancer was diagnosed this year. Counsel said it was their case the cervical cancer should have been detected earlier. He said a review of the smear tests was carried out in 2014 and 2015, but the woman was not informed of the review or of the review results, which showed the original tests results were incorrect. Counsel said the woman has a life expectancy "limited to months", and there would be a real concern if the case was not heard until October. In the ovarian cancer case, the court heard the woman involved had a family history of ovarian cancer and had checks between 2010 and 2017. The woman had a hysterectomy and other procedures last year when it was discovered she had Stage 3 ovarian cancer, which had not been diagnosed previously. Her counsel, Patrick Treacy, said his side would contend the diagnosis should have been made earlier and there were alleged indicators in 2013. He asked that the woman's case be case-managed by the court and an early hearing of the case be set because of the dire situation. Mr Treacy said the solicitors involved were cooperating regarding discovery of documents necessary for the case. Counsel for the HSE, Patrick Hanratty SC, said there was no objection to the application and the case was set down for July. Fixing all three cases to go to trial for different dates in July, Mr Justice Cross urged the parties involved to explore alternative means of resolution. The State Claims Agency has said it was notified of the cases earlier this week and has promised to try to resolve them without the need for a court hearing. In a statement, the agency said that it "will now engage with the co-defendant laboratories with the aim of resolving these cases in a sensitive manner as a matter of urgency and without the requirement for a court hearing." The HSE is a named co-defendant in these cases alongside two laboratories. The SCA said it is managing these claims on behalf of the HSE but is not acting on behalf of the co-defendant laboratories. It said that it places a high priority on treating the people who have made the claims, and their families, with dignity and compassion. A Department of Finance spokesperson said that all similar cases will be treated in this manner in line with the Government commitment given last week. Taoiseach Leo Varadkar said last Friday that the State would seek a settlement with the women through mediation and then initiate its own action against the laboratories.